Much of what President Rodrigo Duterte highlighted in his administration’s projects focused on infrastructure and the general welfare of the people. This involves better transportation services to support the public commuters and to ease traffic congestion in city roads, and that is by actively promoting railways for mass transport. To date, the government’s infrastructure portal lists five (5) major railway projects other than the subway and light rail systems that have actually been started a few years ago. These include the PNR North 1, PNR North 2, PNR South Commuter, PNR South Long Haul, and the Mindanao Railway Projects. Last Friday (February 1), the Philippine National Railways (PNR) announced that the public will have the chance to catch a ride on the first-ever Filipino-made hybrid electric train this month, as shared in a report by GMA News Online. According to the report on “State of the Nation with Jessica Soho,” the fully air-conditioned five-coach train, known as the Hybrid Electric Train (HET), can accommodate a maximum of 1,000 passengers along the PNR’s Calamba-Alabang line. As per Pablo Acuin, a senior research specialist at the DOST and HET project manager, the Filipino-made train harnesses kinetic energy normally lost when the train slows down or pulls to a stop, and converts it to electricity, which is stored in 260 lead-acid batteries. The stored energy can be used to help propel the HET and power its automated doors, aircon, and onboard CCTV system, among others. Acuin added that the train has been conceptualized since 2013, built in 2015, and tested up until 2018, when it was finally turned over to the PNR. 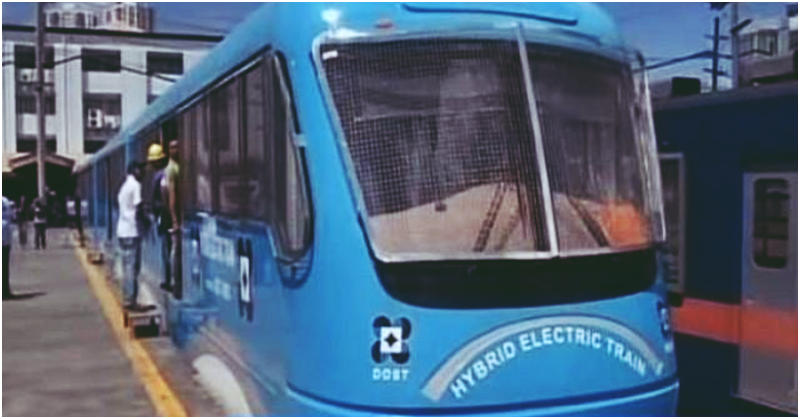 The performance tests conducted on the HET establishes its reliability, availability, maintainability, and safety for public use and regular transport.